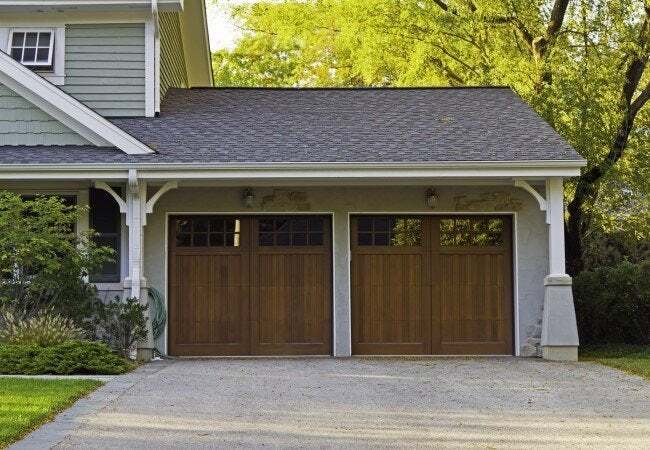 If your garage door isn't opening to let your car out in the morning or back in at the end of the day, follow this troubleshooting guide to find the fix—be it a DIY or a professional one. Q: When I returned from work today, I pushed the button on my remote garage door opener—but the door didn’t budge. Even after putting new batteries in the remote, the garage door still is not opening. What are the chances that I can fix it myself without having to call a repair person? A: So sorry to hear about your problem! Garage door openers are great when they work, which is most of the time, but it sure can be frustrating when they go on the fritz. Replacing the remote’s batteries was a smart first step; but, since that didn’t solve the problem, you’ll need to troubleshoot some other issues that could be preventing the door from opening, starting with the simplest fixes. Odds are, you can probably remedy the issue yourself. While garage door openers are similar in function, they vary in style from brand to brand. For some of the fixes below, you’ll need to consult your owner’s manual; if you can’t locate the manual, you can usually download a new one from the manufacturer’s website. Make sure the opener is plugged in. While this may seem like a no-brainer, one of the most common causes of garage door opener failure is simply the result of the power cord working loose from the electrical outlet. Check the circuit breaker that powers the opener. An electrical surge, even a small one, can cause a breaker to trip. Check your home’s breaker panel (service panel) to see if the breaker that powers your garage (it should be labeled) is no longer in the “On” position. If so, flip the breaker switch to the “Off” position and then back to the “On” position to reset the breaker before trying the garage door opener again. Did someone lock the door? If the garage door is locked from the inside, it won’t open. While you’ve likely already checked this out, we sometimes overlook the simplest things, so it’s worth mentioning and inspecting before you move on. Check to see if the trolley has been disconnected. 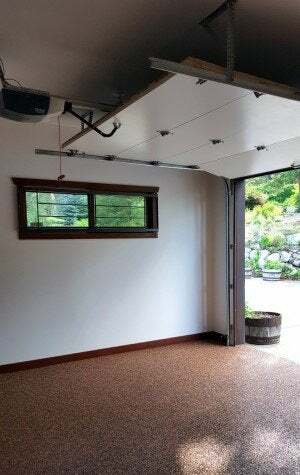 The trolley moves along the chain drive (the long track attached to the ceiling) when the garage door is opening or closing, attached via a metal bar to the inside top of the garage door. 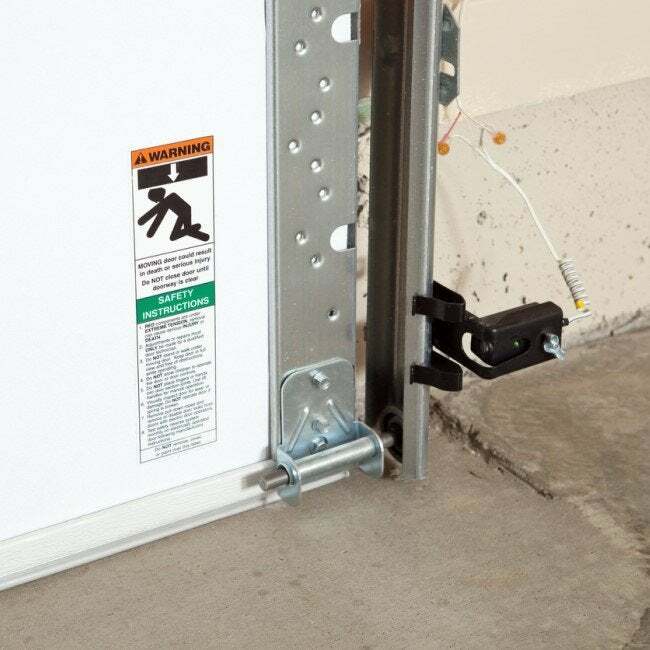 Of course, all garage door openers come with a pull-cord or switch that disengages the trolley whenever you’d like to open the door by hand. With that in mind, check to make sure the cord was not inadvertently pulled and the trolley disconnected. If it was, reconnect the trolley according to your owner’s manual for instructions, and you’ll be back in business. If you suspect the problem is in the remote, try resetting it. If the door opens when you press the button on the wall-mounted control keypad but not when you use the remote, you might have just pinpointed the source of the problem. Try resetting the remote. You’ll need your owner’s manual, as the procedure to reset the remote varies by manufacturer, but it’s a relatively quick fix that involves pushing the buttons on the remote and on the keypad in a specific sequence. 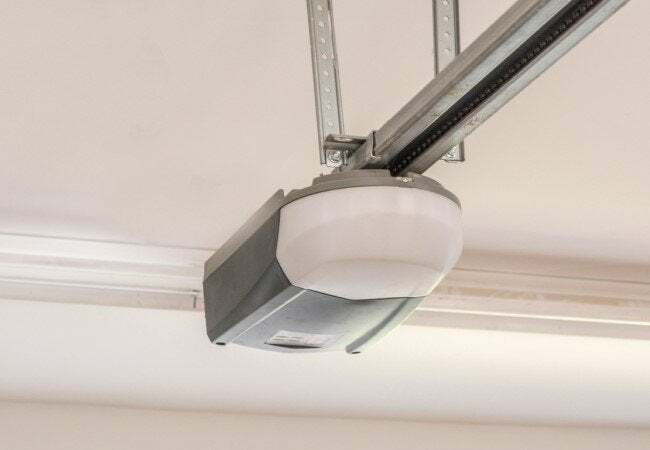 The photo eye, a small sensor, hovers four to eight inches above the floor on the inside of the garage door track to detect objects in the path of the garage door. If it senses something, it signals the door to stop closing—a wonderful safety feature that prevents the door from closing on pets or small children. The caveat: A dirty photo eye can keep the door from moving in either direction. Wipe off the photo eye (what looks like a small lens about ¼” in diameter) with a soft rag and then try to open the door again. Adjust the opener’s pulling force. If your opener is more than five years old, it was most likely programmed with a specific amount of force needed to pull the garage door up. Over time, that amount of force needs to be increased to compensate for damage to the rollers or the door tracks, any of which makes it difficult for the opener to lift the door. A nut located on the opener—check your owner’s manual for location, which varies by brand—can be turned with a wrench to increase the opener’s pulling power. By increasing the pulling force, the opener may be able to open the door again. Newer models, on the other hand, have done away with the adjustment nut adjust the pulling force automatically. The door might be off the track. When a roller on the garage door comes off one of the side tracks, the opener won’t be able to lift the door. This can happen if a track is accidentally struck by a heavy object and bent outward, allowing the door rollers to slip out. Still, you may be able to disconnect the opener (using the disconnect switch mentioned above) and raise the door by hand while maneuvering the rollers back into the tracks. It helps to have at least two people to do this. When the door is fully open, use a mallet to lightly tap the bent side of the track back into alignment. The door should then lower easily, and you can reconnect the opener. A torsion spring has broken. Many garage doors have a powerful torsion spring located horizontally above the door. When the door is lowered, the spring winds up tightly, creating a pulling force that helps lift the door up when you next open it. Over time, torsion springs wear out and break, making the door too heavy for the opener to raise. Installing a new torsion spring is a job for a qualified garage door technician, though—if the spring snaps off during installation it can severely injure anyone near the door. If the above remedies didn’t fix the door, it’s time to call a garage door repairman. Problems within the opener, itself, should also be inspected and repaired by a professional. A circuit board or a logic board might have failed and now needs replacing, or gears within the unit might have worn out. Before you do, though, consider the age of your opener. These units have an average lifespan of 10 to 15 years, so if yours is entering the later part of its life, you may be better off installing a new one rather than paying to fix an older model.